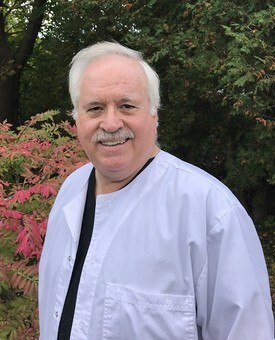 Born and raised in Texas, Dr. Day practiced for 25 years in Houston and felt the need to come to Maine and Camden, a place he has vacationed for 25 years. He graduated from Stephen F. Austin University in Texas with a Bachelor of Science degree in 1978 and received his Doctor of Dental Surgery degree from the University of Texas Dental School in 1982. Dr. Day received the prestigious Fellowship Award from the Academy of General Dentistry in 2005. This award is given to Achieving Fellowship in the Academy of General Dentistry (AGD) and is one of the few added distinctions a general dentist can achieve. To earn Fellowship in the AGD, dentists must take more than 500 hours of educational courses in various disciplines. Candidates must also pass a rigorous exam. The award is then presented to general dentists in a formal ceremony. Dr. Day is one of only 7 percent of general dentists who have achieved this honor.